Alan Adler is Detroit Bureau Chief for Trucks.com. He is a former Associated Press auto writer and news editor and covered the auto industry at the Detroit Free Press. He concluded a 20-year career in domestic and international communications at General Motors in 2017. He can be found on Twitter: @AlanAdler. Three years after striking a California Air Resources Board inspector, a trucker has been convicted of felony assault with a deadly weapon – his truck. Xos has signed a deal to electrify two Loomis Armored US trucks with a pending order for 100 more if the test trucks prove their worth. 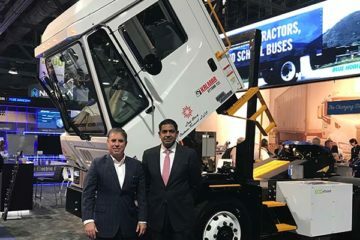 After 14,000 miles of testing its prototype hydrogen fuel cell heavy-duty trucks, Toyota and Kenworth reveal the first emission-free unit for port service late this year. Volvo has recalled 2018-2020 models of its VNL and VNX heavy-duty trucks with sleeper cabs because the rear windows can fall out. A lack of safe places to park and poor planning are causing some truckers who reach their legal daily driving limit to shut down on highway shoulders and ramps.